Carrigaholt is an ideal harbour to go deep sea fishing from. Being in an estuary it is possible to go fishing in all weather conditions and can provide a relaxing days fishing in shallow bays. 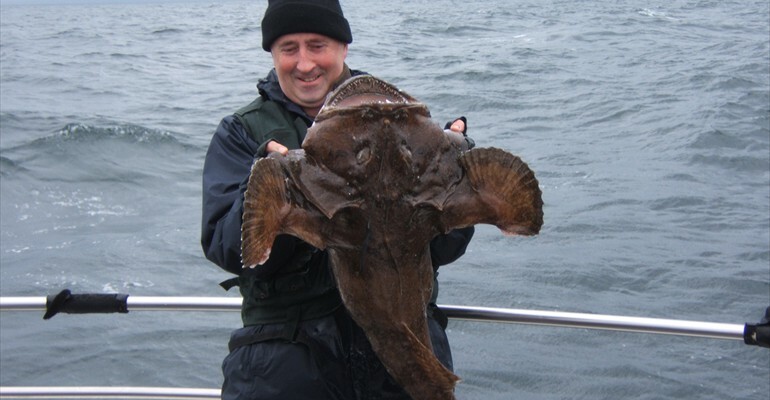 The Estuary can produce excellent Ray fishing, double figure Bull Huss, flat fish like Plaice, Dab and Turbot, and in season is one of the best places to fish for Tope in Ireland. Because its waters are so nutrient rich the estuary is also home to many Bottle Nose Dolphins and these lovely creatures often pay us a visit on our way to the fishing grounds. 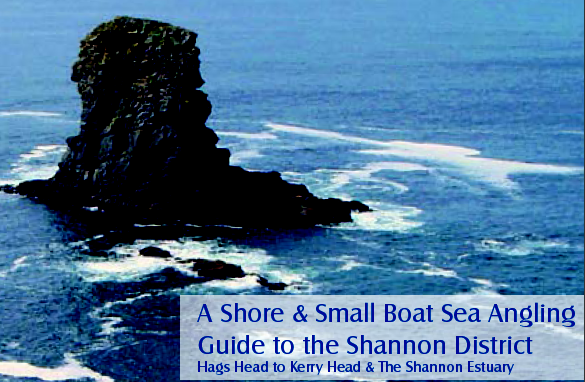 As you head out to Loop head you will have time to take in the wonderful scenery. The north side of the estuary is bordered by low cliffs that are of great interest to geologists and the magnificent view of Mount Brandon rises in front of you. At the end of the peninsula you are starting to get into the best fishing grounds to be found in Ireland. Close in to the headland as the nutrient rich waters of the estuary mix with the Atlantic Ocean, there are often Mackerel which, along with good eating, provide great bait for the day ahead. Fine Wrasse to specimen size also lurk around the rocks here. 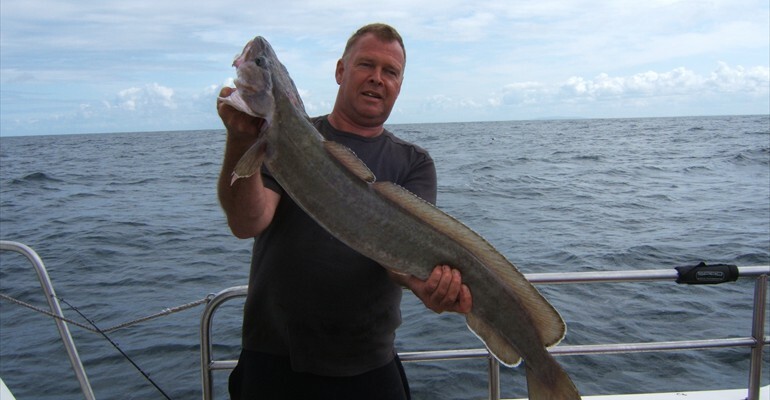 We have been known to catch over twenty different species in one days fishing and as we move out over different sea floor types from rough rocky grounds with peaks raising and falling over 20 mtrs to flatter sandy and gravel banks, different species can be targeted. 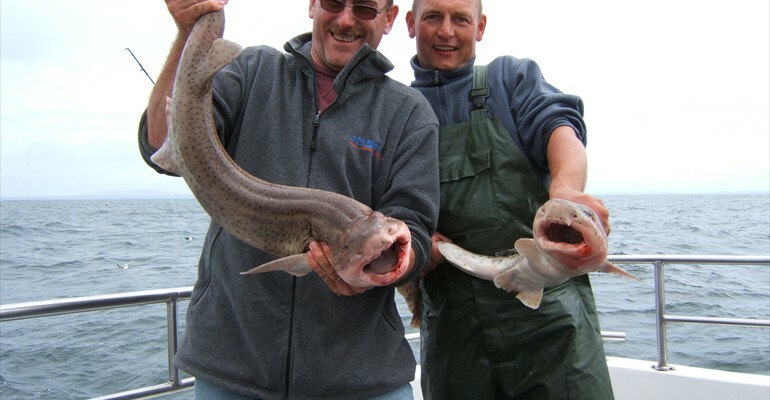 These fish include Pollock, Coalfish, Ling, Cod, Haddock, Whiting, Gurnard, Congers and Large Spur dog while rarer species like Angler Fish, Megrim, Hake and Stone Bass have also been taken. 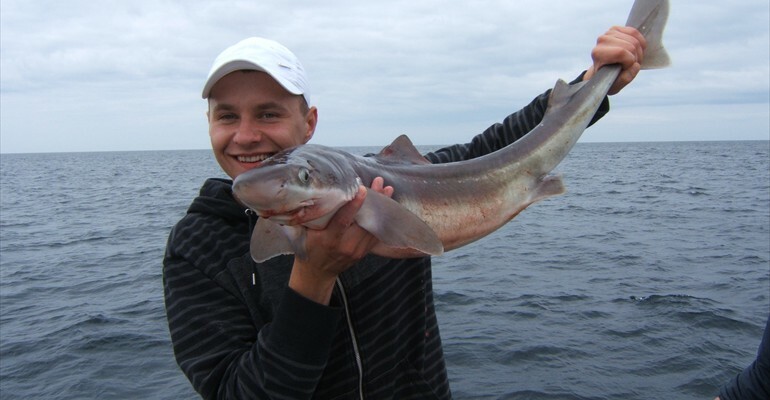 If you after a larger specimen you can target Skate off the bottom or try your hand at some Shark fishing. 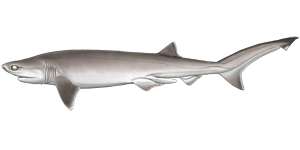 We regularly catch Blue Shark over 100lbs in season, some Porbeagle Sharks and have established some exceptional records with recorded catches of Sixgill Sharks over 1000lbs! As if to prove the abundance of sea life in these waters we often have a visit from Minke Whales, Basking Sharks and have on occasion had the thrill of being in the middle of large shoals of Bluefin Tuna. 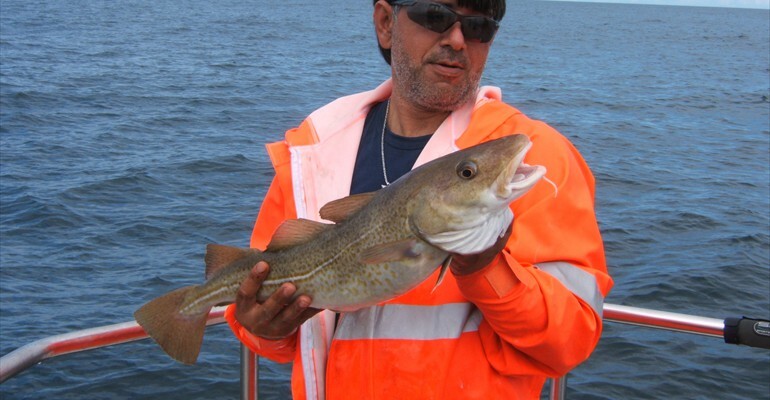 Your skipper, Luke, has gained a wealth of experience both as a Commercial fisherman and as an Angler. 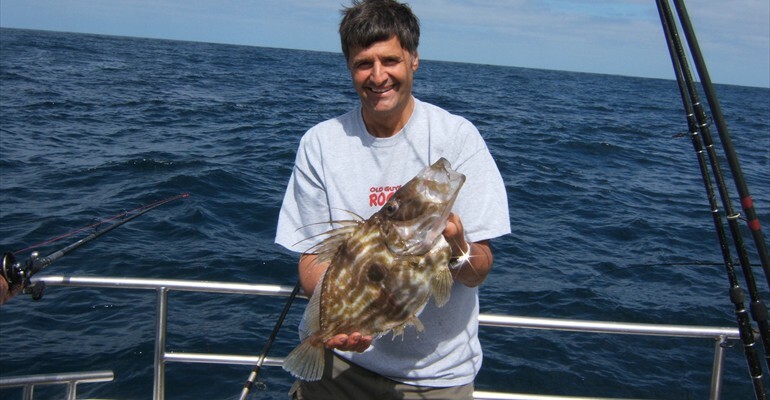 With his knowledge of the area he can bring you to places on the fishing grounds where you have the best chance of catching your target species. Whether you are an experienced angler or a complete novice he is also very willing to help with advice on fishing tackle and Rigs. While on the boat feel free to ask about both. By your Skipper Luke Aston! I get asked a lot about the what, and how, of fishing this area so I am going to go into a bit more detail here. On some specialist subjects I have put extra links at the bottom of this page and some diagrams of the common rigs and baits we use. In any case you will be fishing on the drift in waters of 60 to 70 mtrs and allowing your rigs to trail just above the sea bed. Most of the time 10 or 12 oz leads are enough to achieve this. It would be best practice to use the slightly heaver leads on the side where you line is going under the boat. This is caused by the drift of the boat and using heaver leads on the “up tide” side of the boat will cut down on tangles! Fishing does seem to be better if you can keep your rigs fairly upright in the water and sometimes on the faster drifts a slightly heaver lead (up to 16oz) can improve your catch rate. Anglers all have there favoured rig using this method but the basic is a 3 hook paternoster with hooks in the 2/0 to 6/0 range. These mostly come with feathers of different colours or some plastic tubing ect. It any case it is best if they are well tied with line of a breaking rating of 40 to 60lb as triple hook ups are common and three 5lb Pollack will test your rig! In this case catch rates can also be improved when the hooks are also baited and strips of fresh Mackerel are well proven for this. Anglers with more experience will change this basic rig by tying there own and using little delta eel types or soft plastics on their hooks. The best catch rates are achieved with these rigs when fished with a slow movement between the bottom and about 10 mtrs off the bottom. Another rig often used is a Running Ledger. 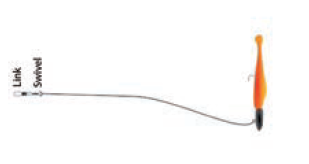 This is basically a baited hook on the end of a line flowing from a boom of some type with the lead attached to the boom (hence also known as a flowing trace!). While fishing on the drift this rig baited and fished close to the bottom, will pick out some bigger fish or fish like flat fish that live tight to the sea floor. If you change your hook for a plastic eel or shad type bait this is very effective if dropped to the bottom and slowly retrieved. This is also the basic rig when fishing at anchor. I would suggest a line strength of 30 to 50lb and hooks up to 7/0 for this rig and you might like to use some beads or muppets close to the hook. 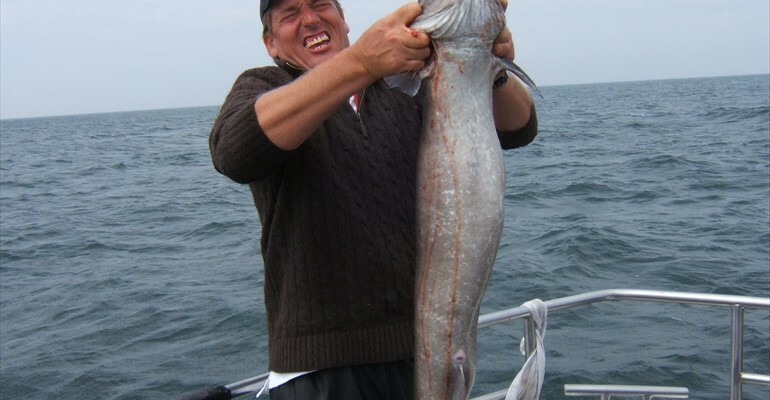 If fishing at Anchor and targeting Congers I would suggest you increase to 100lb mono and 8/0 to 10/0 hooks. For tope I would always recommend wire with a 100lb breaking strain and again 8/0 to 10/0 hooks.